Round 2—- Join Yoga Fever & Vander Mill as we team up once again for Flow & Cider. This 60 minute class will be accessible for all levels followed by a hard cider of your choice. Stay for brunch, the food is out of this world!! While waiting for class to begin or your food to arrive, enjoy chatting with old friends or make some new ones!! Signing up is easy. Just head to the Yoga Fever pricing page, purchase your ticket, and register with the studio to reserve your space. Cost is $15 and includes class + cider + community. Grab your pals, let's have some fun! Space is limited. Reserve your space below! March date postponed to April 28th date. If you bought a ticket we have automatically added you to the date in April. If you would prefer a full refund, we can accommodate you. Certified AcroYoga Instructor Brittany SanAgustin and Movement Coach Zack Kraai put together 3 weeks of acro-fun to share with you!! Starting with the fundamentals of AcroYoga and building skills in the weeks to follow, this mini series offers something for students of all levels and backgrounds. "Fun" and "community" are our main objectives for this series! Each session will conclude with 30 minutes of guided Thai massage to help the body relax and restore before we conclude each session. Come alone or sign up with a friend, either way, you will have a community to support you and lift you up in more ways than one! Come fly with us!! restoration and balance. Reduce stress, rest deeply, and ignite your innate healing resources within. spirituality, sexuality, and embodiment. Based part-time in India, her teachings are inspired by her travels and continued studies in Tantra, sacred dance, and feminine lineages of yoga. Inspired by her studies of mystical femininity, Jessica's teachings are deep, poetic, provocative, and soulful. presence into a practice that is focused, accessible, and effective. Ben works skillfully with pranayama, visualization, mantra, music, and the incorporation of wisdom teachings to create a container that is supportive, challenging, compassionate, and deeply transformational. Yoga Fever Teacher Trainees are bringing it to the masses Saturday, Dec 1st and Sunday, Dec 2nd! We will be offering 10 community classes to highlight each new teacher. Each trainee will lead a 60 minute vinyasa flow for just $5!! These classes are super special to each trainee as it is their first LIVE class. We hope you can come support your fellow yogis on their journey toward taking the seat as teacher. Come celebrate these graduates with us, you'll be glad you did! Community Classes are set to 90 degrees. Please sign up in advance on our website schedule for the time slot you will joining. All classes will be community $5. We expect these classes to sell out so please do us a solid and reserve in advance!! Head to the schedule below and SIGN UP! Kundalini yoga awakes higher consciousness in its practitioners. This workshop teaches beginner movements to Kundalini yoga. At the end of the workshop Chelsea guides a meditation with sound relieving stress and anxiety to achieve a calm state of being. **This workshop includes a short movement practice, kundalini exercises and sound healing meditation. Chelsea Fox is a Yogi, Speaker and Sound Healer. She is a certified yogi sharing the message of compassion, grace, and freedom through workshops, speaking and sound healing meditations. Tune in, tap in and turn on to the vibration of the life force energy living within you to live an incredible life. Join Aly Peacy, RYT and Yoga Fever in learning Prenatal Yoga. This class is designed for all teachers of yoga as well as the pregnant mom that would like to know more about movement during their 9 month journey.There's no reason to stop practicing yoga during pregnancy. In fact, the benefits of working out during pregnancy will help mother and baby during pregnancy, during labor and delivery, and postpartum. This workshop will focus on how a woman's body changes during pregnancy, and how to help adjust the yoga journey for a safe, effective practice. Calling All Teachers of Yoga!! 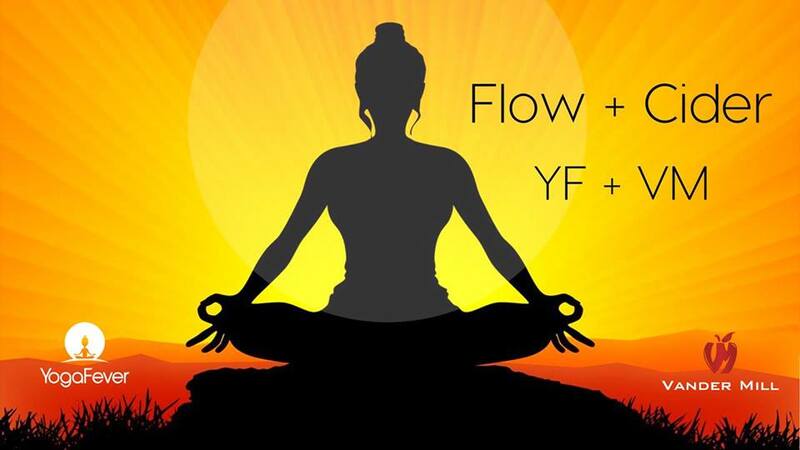 Please join Gretchen Brockman and Yoga Fever for a 4 hour immersion into Yin Yoga Training. This workshop is designed for yoga instructors and will give you the confidence and skill necessary to teach effective and authentic yin to your students. Yin and Yang occur together. There is no one without the other. Yin yoga is still, promotes growth by clearing energetic blockage and enhancing circulation. Soft, receptive. Mistakenly considered "easy", can be restorative and calming, but intense. No ONE specific way to do the poses. Our 30 Day Challenge is back this October! We will even give you an unlimited month for $69 to complete the challenge. No coupon codes, just purchase one "Full Month Unlimited" anytime from now until October 1stt!! We will have boards up in the lounge for you to track your classes. We will also have a running tally within our software system to cross check. We offer up 4 rest days to give you one day a week off from practice to recharge. When can I purchase the discounted month for $69? From NOW until October 1. Can I take more than one class a day? YES. You can take up to 2 classes a day. Can I enter late? YES. You can enter late but it is best to start on day 1 to give yourself plenty of time to succeed. Do I have to use the discounted month I purchase to do the challenge? NO. But we sure hope you give it a try. The discounted month must be activated within 45 days of purchase. Can I buy more than one discounted month? NO. If I have a membership already can I still participate? YES. How are the winners selected? We add all who completed the challenge into a random drawing. 3 winners will be chosen. Can I complete the challenge and gift the prize to someone that I love or care for? YES. Please gift your prize. We love to see you give back. What are my chances? Chances are pretty good. Out of over 100 that participated last year only about half completed the entire challenge. Why didn't more folks finish? This is called a challenge for a reason. It takes discipline and hard work. Remember, we have Gentle classes, warm classes, and lunch classes that are just 45 minutes long. It ALL counts. YOU CAN DO IT!!! Join Holistic Nutrition and Eating Psychology practitioner, Laura Burkett and Yoga Fever, in a fun and life-affirming class on Ayurveda, the sister science to yoga. Together we'll explore how Ayurveda helps us align with self-care and nutritional practices that honor our uniqueness and support us in synching with the natural currents of Nature. The benefits include: improved sleep, better digestion, weight regulation, natural detoxification, more trust in the body, and feeling more connected to the Earth. Please note there is no need for your mat as we will not be doing any physical poses in this workshop. No prior knowledge of Ayurveda necessary. Let's kick off the summer with a sweet block party!! Join Dean for a 90 min., all-levels workshop exploring unique and creative ways to utilize blocks in some of our favorite asanas. 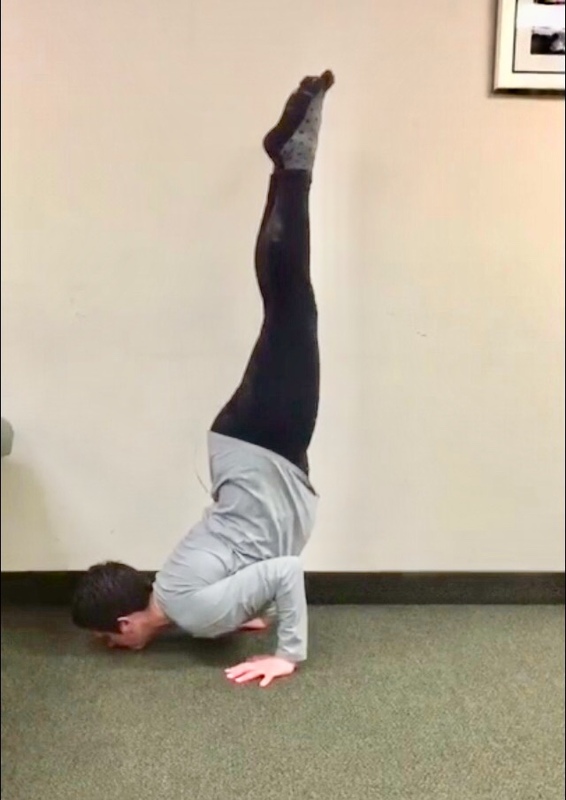 Whether you're new and hoping to make your forward folds more accessible, or you're a seasoned pro hoping to take your practice to the next level (arm balances), we've got tips and tricks for you here. Then we'll jump into a jam-packed (45 min) vinyasa putting our props to work as we move through a foundational style sequence designed to put our learnings into practice. New or advanced yogis will enjoy this workshop/vinyasa style class. Be prepared to sweat and as always, try new things. Join Yoga Fever for a 40 minute all levels yoga flow followed by a 2 mile trail run at Robinettes! Our yoga class will be on the front lawn of the apple orchard followed by a 2 mile trail run (at your own pace). This event will be led by runner/yoga enthusiast and YF instructor, Vanessa. We know how important getting outside and being in nature is during the most beautiful season in West Michigan. Let's create the perfect marriage of yoga and trail running. Bring your yoga mat and your best running pal. Dean Jeffery will be representing Team Fever for Flow & Cider June 3. This 60 minute class will be accessible for all levels followed by a hard cider of your choice. Stay for brunch, the food is out of this world!! 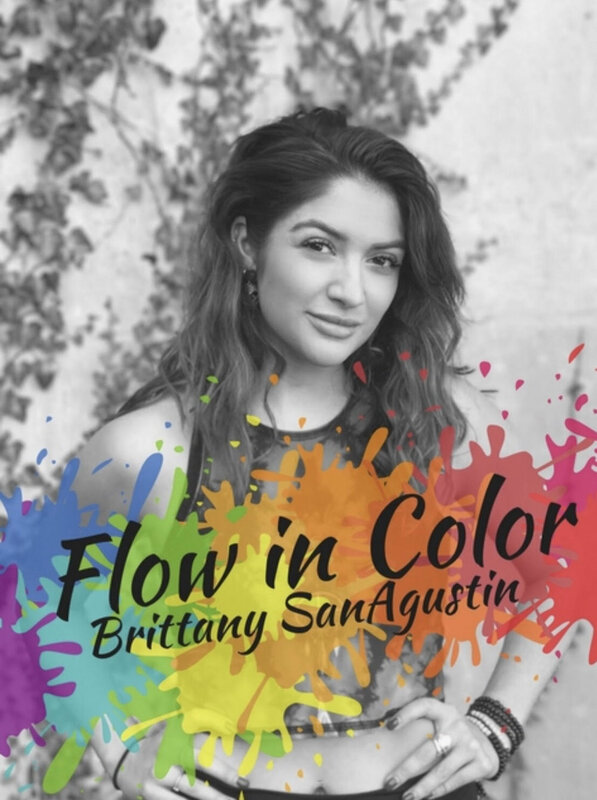 Join YogaFever Instructor, Brittany SanAgustin for a playful FREE Flow in Color Photoshoot (hot, all levels) yoga class on Saturday May 12th at 11:15a - 12:15a. BE BOLD! Wear your brightest clothes- we want to see you shine! And so does our photographer. **Boldest & brightest yoga outfit wins 30 days of free yoga! **We will also be raffling off a Yoga Fever muscle tank! Special guest, Bryan Bennett aka: @theacrocaveman will be visiting the studio to flow with us to promote Flow in Color Yoga Festival in Ann Arbor, June 9th where he and Brittany are leading an Acro Workshop. Anyone that comes to this FREE all levels 60-minute vinyasa class will also be invited to have 10% off their ticket to the Yoga Festival in June! Head to the schedule for May 12 and sign up, it's totally FREE! Calling all Yoga Teachers!! Looking to amp up your yoga classes with a little ingenuity and imagination? At Yoga Fever, we take great pride in our creative, out-of-the-box sequencing. I designed the studio with this concept in mind. Not only does creative sequencing set your classes apart from other teachers, but it helps keep your students engaged and challenged. If you're feeling like you need a refresher vinyasa course to keep things interesting, consider joining us for this Yoga Alliance CE course. This class will be 3 CE Yoga Alliance credits and will forever change the way you teach. Be prepared for lecture, lesson planning, & practice teaching. Brittany SanAgustin will be representing Team Fever for Flow & Cider April, 15. This 60 minute class will be accessible for all levels followed by a hard cider of your choice. Stay for brunch, the food is out of this world!! We are setting up two additional stations for before and after this event. While waiting for class to begin or your food to arrive, enjoy some massage or tarot! Sign up on the Yoga Fever schedule/website. Cost is $15 and includes class + cider + community. Grab your pals, let's have some fun! Have you heard your yoga teacher say "chatarunga" and wonder if you are doing it correctly? We feel you. Often times this transition from right to left side, or transition in the sequence can be challenging to know if it is being done correctly. It is more important than ever to nail this pose especially when it is a pose of repetition and can lead to injury if it is performed incorrectly over and over again. This 75 minute workshop will help you break down the foundational pose chaturanga dandasna (4 limbed staff pose) as well as the transition to upward facing dog and identify common mistakes, misalignments, and challenges. You will also learn how to modify it to fit your practice and strength level. During this workshop we will learn the proper alignment and anatomical position for the pose and how to move through it safely and smoothly move into upward facing dog or cobra. We will also explore preparatory poses, and how to take your chaturanga to the next level by hopping or "floating" back into it. This class is for all levels and experience and is highly recommended for all vinyasa yogis. Round 2! Dean Jeffery will be representing Team Fever for our second Flow & Cider. This 60 minute class will be accessible for all levels followed by a hard cider of your choice. Stay for brunch, the food is out of this world!! Yoga Fever’s own, Brittany Sanagustin has teamed up with rock climbing coach, Jay Gould to bring their passion for AcroYoga to YF for round 2. Like any physical practice, yoga, rock climbing or otherwise, AcroYoga is a movement based practice that can seem both simple and complex. In this partner based class we will explore basic stretches and partner drills, along with therapeutic flying, simple L basing and standing poses. A little taste of everything! Rest assured, you will also learn partner safety and how to spot these poses with others! We encourage community through movement and play! This practice develops your skills to work with a wide variety of people… no matter the personality, shape, size or skill. You’ll learn the foundational building blocks to literally take whatever physical skills you have to new heights!! This 90-minute workshop is all about having fun and allowing yourself to play with new friends and old. Bring your sweetie, friend or brother and let’s fly! We live in a chronically stressed-out and overworked society. For the deepest level of health and well being, it is important to find balance between give & take, effort & ease, and work & rest. Health is not just physical fitness, but is also mental and emotional wellness and clarity. Join Brie for a workshop dedicated to cultivating the art of relaxation and consistent, mindful presence. This experience will consist of meditation clarification and practice, restorative yoga poses, guided yoga nidra ("yogic sleep"), and tips for staying mindful in the busyness of everyday life. To fully experience the simplicity of mental and physical relaxation, we will be using a variety of props to support our restorative yoga poses. Dress comfortably, come as you are, and prepare to feel refreshed and more closely aligned with your uncluttered, natural state of being. We have opened up a 2nd class due to demand of this workshop! Just a few spots left as we moved the wait list from the afternoon to the morning. BUTI Fever is officially on the schedule every other Friday! That means if you are a member of Yoga Fever you receive FREE BUTI. We have created a special $10 drop in rate for all others. Our full wall of mirrors lends itself perfectly to sync up with your tribe. 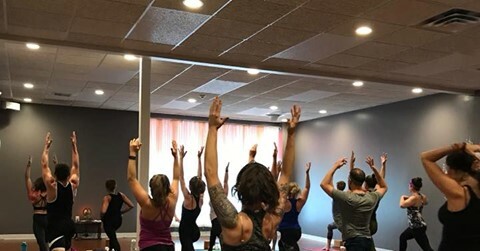 BUTI Yoga is a movement practice that fuses power yoga, tribal dance and plyometrics into a high-intensity workout that transforms the body from the inside out. Let's shimmy, shake, and sweat to some killer tribal & current beats!! Brittany SanAgustin is a BUTI Certified tribe leader who specializes in challenging your practice, empowering your soul, and moving your body. 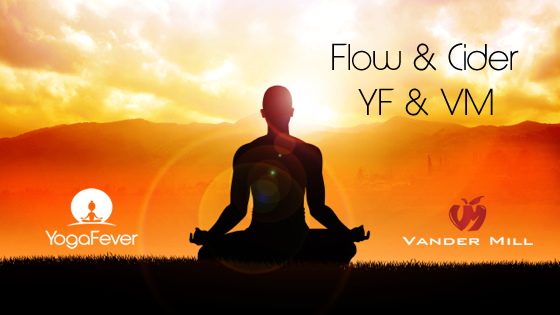 Join Yoga Fever + Vander Mill for a special event, Flow + Cider at Vander Mill on February 11, 2018! This 60 minute class will be accessible for all levels followed by a hard cider of your choice. Sign up on the Yoga Fever schedule/website. Cost is $15 and includes class + cider. Grab your pals, let's have some fun! Yoga Fever’s own, Brittany Sanagustin has teamed up with rock climbing coach, Jay Gould to bring their passion for AcroYoga to YF on Friday Feb. 9th ! Like any physical practice, yoga, rock climbing or otherwise, AcroYoga is a movement based practice that can seem both simple and complex. In this partner based class we will explore basic stretches and partner drills, along with therapeutic flying, simple L basing and standing poses! A little taste of everything! Rest assured, you will also learn partner safety and how to spot these poses with others! Mirrors are being added to the studio space to sync up during BUTI. This will enhance the BUTI experience and connect us all during our movement & flow. We expect this class to sell out. Please reserve your space online in advance. Learn to Fly with E! Crow. Firefly. Hurdler. Chin stand. Seem impossible?!? Not so. Join Elizabeth in an arm balance workshop that will take you from stretching and strength-building poses into full arm balances! No prior experience necessary, start from where you are in your practice. Be prepared to amaze yourself! On Sunday November 19th, Yoga Fever invites you to join us in welcoming celebrated yogi and musician Girish to Grand Rapids! Shannon Austin will lead a 90 minute practice as we flow to live music with Girish. This vinaysa class will not be heated and will be accessible to all levels. This uplifting yoga practice paired with beautiful live rhythms is designed to leave students expanded and renewed. Revitalize, energize and strengthen in this 2 hour inversion workshop with Jenny! We will discover the playful, fun and accessible side of inverted poses. An inversion is any posture in which the head is below the heart. Not only do inversions increase upper body strength and core strength, they also cultivate courage, boosted immunity and clarity. In this workshop you will build confidence as you learn the fundamentals of alignment, as well as preparation poses for inverted postures. Whether you are a beginner or a more seasoned yogi, we will find the variation that is right for your body. Come enjoy this lighthearted, playful class to turn your world upside down! !